A child's Confirmation is one of the most important events in their life. Help them make the day extra special with a gift of a Confirmation Wall Cross. 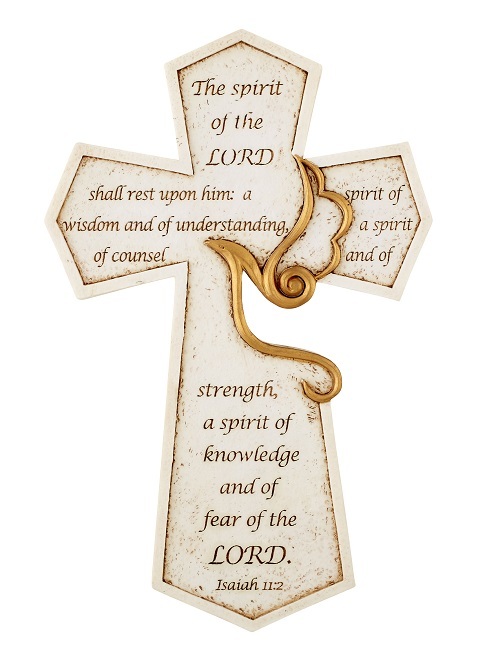 Each cross is decorated with a cut out Holy Spirit image and the bible verse Isaiah 11:2 - The spirit of the LORD shall rest upon him: a spirit of wisdom and of understanding, a spirit of counsel and of strength, a spirit of knowledge and of fear of the LORD. It makes a great gift for any Confirmation candidate and is sure to be an ideal keepsake that will be treasured for years to come.